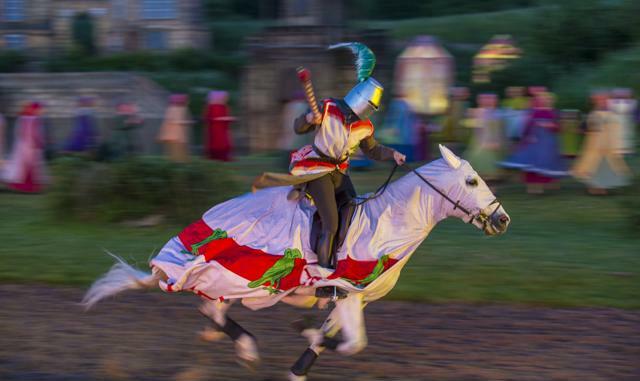 Kynren - An Epic Tale of England is an action-packed live blockbuster outdoor performance that takes you on an amazing journey through 2,000 years of history, myth and legend, all in a field just outside Bishop Auckland in County Durham. I loved the opening ceremony of the 2012 London Olympics by Danny Boyle. It was everything I thought it wouldn't be. I loved the eccentricity, the humour, nostalgia, and in-jokes. 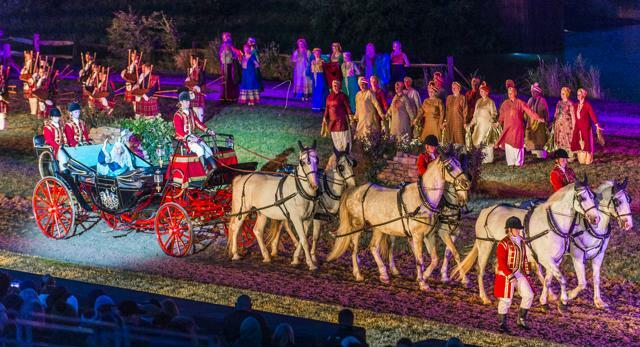 When I went to see Kynren for the first time, the press night in 2015, the very first viewing when the venue wasn't even finished, Kynren had the same effect on me as the 2012 London Olympics Opening Ceremony - except this time I'd seen it with my own eyes and not on a TV screen. So when an invitation to attend this year's press night with the opportunity to take the boys along too, it was very welcome. So here are the reasons I love Kynren. My boys, aged 9 & 11, sat enthralled watching Kynren as history unfolded before their eyes. My eldest guessed each new chapter from the clothes the performers were wearing – Horrible Histories and their school have taught them well. 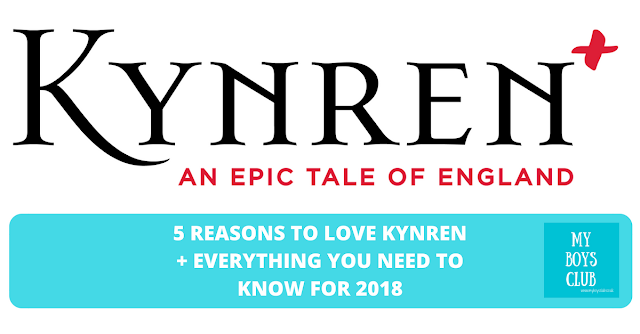 Kynren is an epic tale of England with 2000 years crammed into just 90 minutes – a feat in itself, but is done with poignancy, emotion (just wait until you see the pit and the poppies) fun and frivolity. 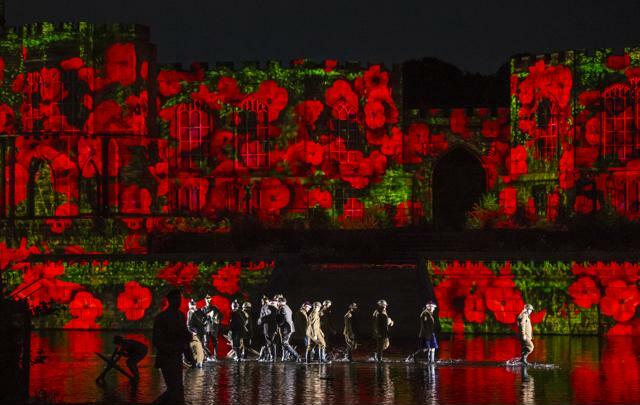 This year is themed 'In Remembrance' with the world-class spectacular marking two very special centenaries, the World War I Armistice – a moment laced with poppies and poignancy – and the Suffragette Movement winning the vote for women. The show is produced almost entirely by volunteers, known as ‘Archers’, who are professionally trained each year by internationally renowned experts in the key skills needed to produce a world-class show. They range in age from five-years-old to 85! The 1000 strong cast and crew of volunteers are the very proud recipients of 2018 Queen’s Award for Voluntary Service. I remember when Kyren was announced long before the first show three years ago, and discussion taking place about a show using volunteers. You know, there is nothing about the performance at all that screams volunteers or amateurs. Every performer, human and animal! looks like a professional on stage. The timing, choreography and flair are immense. From the car park attendants, bus drivers, to the people doing the security checks, to the people ushering visitors to the tribune, and the performers themselves you can see that they totally love the whole, show, the concept and the part they are playing. They couldn’t have been more friendly, helpful and also knowledgeable - offering insights about Auckland Castle for example as I stopped to take a picture. 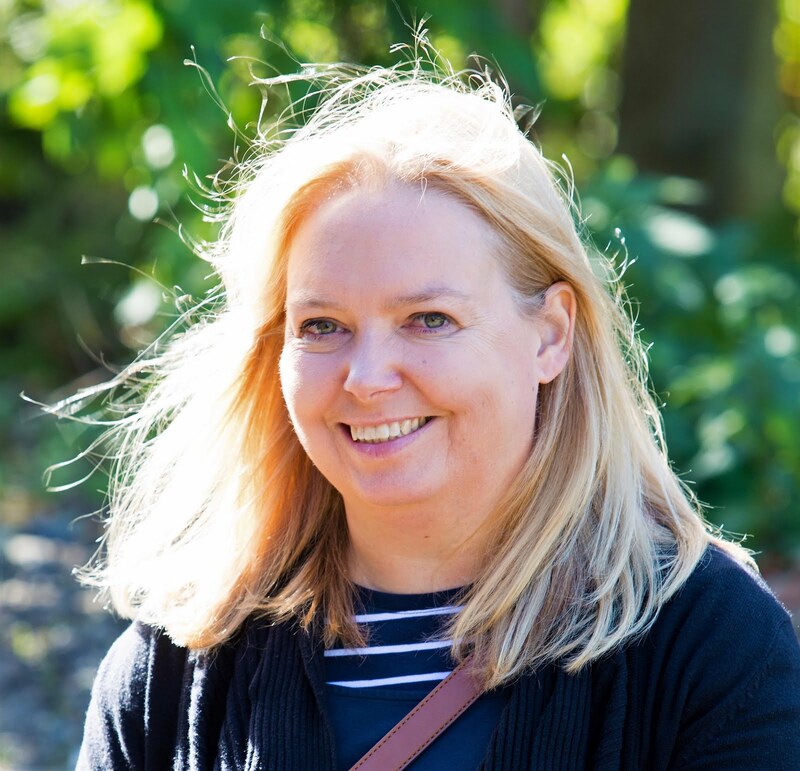 Have a read of Kynren Blog by volunteer Andrew Corry - to see how much of a game changer Kynren has been for so many people in the local community. At the preview evening, we had the pleasure of sitting next to Jonathan Ruffer, the philanthropist who has made Kynren happen. After he'd welcomed everyone he unexpectedly sat down next to us, to enjoy the show. It was amazing to see him with a big smile on his face throughout the whole show. I asked him about it afterwards and he said it’s what it is all about – seeing the performers and the audience enjoy the show, and as a result, for him every time is amazing. He also asked my youngest what he’d thought of the show – thankfully he gave it a glowing review! I read in an interview with Jonathan in the Financial Times that says he believes that people need no more than £20 million and after that, they should give any surplus away. I would love to be in a position to test this theory out, but until then I have the utmost respect for people who are, and who choose to try and reduce the inequalities in the world. As the sun set over Auckland Castle we were treated to 90 mins of action-packed, entertainment with humour, emotion as well as historical facts and figures. The effects are amazing. The landscape with a backdrop of Auckland Castle has been used to perfection. Sets rise up out of the water, castles rise up, and cathedrals with rose windows appear from nowhere simply created from water and light, and the sound and pyrotechnics really bring the show to life. If it didn’t get cold (it was nearly 11pm on a June evening up north in the open countryside) you could forget that you were actually outdoors. From Roman times to present day the audience is entertained by kings, queens, myth, legend, war, battles, invasions and industrial revolutions. Everything that has shaped the nation that we are today. Volunteers have multiple costume changes throughout the evening even though its anon-stop action too. Not everything happens in London or the south. There is nothing like Kynren in the rest of the country and it's brilliant that we have Kynren up north. Now in its third year, it is still the UK’s biggest live production since London 2012. The Great Exhibition of the North has just launched in Newcastle and the third year of Kynren is a reminder of the tremendous contribution the North East made to the history of the nation. It contributes to raising awareness of matters of historical importance at local, regional and national level with both its audience and volunteers. Kynren, a world-class show brought to life with magnificent sets, combat, stunts, horsemanship, stunning pyrotechnics and amazing special effects set to a thrilling original soundtrack. The Epic Tale of England is performed by a cast and crew of 1,000. The name ‘Kynren’, echoes the Anglo Saxon word ‘cynren’ meaning ‘generation, kindred, family’. It’s a fitting name for a story that is about a heritage that spans multiple generations, that generations of volunteers will be involved over the years to come and the experience will be shared by audiences of all ages. When can I see Kynren? There will be 17 performances from 30th June to 15th September in 2018. 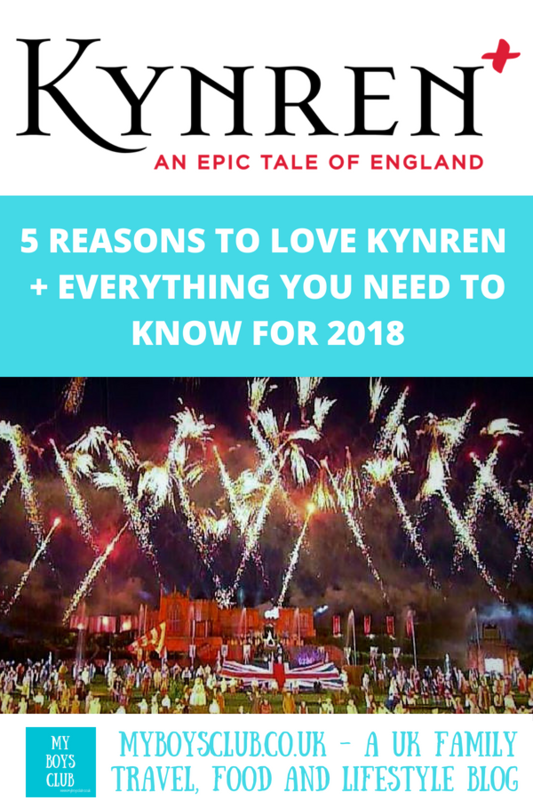 Starting at sunset and ending in starlight, Kynren is an enthralling live-action family entertainment and is a 90-minute performance without an interval. Kynren is located at Flatts Farm in Bishop Auckland in County Durham. Yes. Children and adults will all love Kynren. The show is actually told through the eyes of a 10-year-old boy and the whole experience is child-friendly. My boys are 9 & 11 and managed the late night, however towards the end of the season when the nights get darker earlier, show start times also come forward so its worth looking at these shoes if you have young children. How do I get to Kynren? By car, it is 45 mins from Newcastle or Sunderland, 35 mins from Middlesbrough, 25 mins from Durham and Darlington; and less than 1 hour 30 mins from Leeds and York. London is just 2 hours 20 mins from Darlington by train. Sat Nav for anyone driving is DL14 7SF. Can I park at Kynren? There are 2000 parking spaces, however, to access them book a parking voucher at the same time as booking your show tickets. The majority are within walking distance from the show site (40-minute walk at most) but a Park and Ride shuttle bus is also available from the offsite car parks for an additional charge but should be booked in advance. Parking is also available for Blue Badge permit holders. What do I wear to Kynren? Kynren is outdoors. Check the weather forecast – rain does not stop the show so if its forecast you may need ponchos and waterproofs – umbrellas are not allowed as they would restrict viewing. Rain ponchos can be bought on site if you are caught out by the weather. My boys said they would have sat through it in the rain though, as it was that good. The two press events I’ve attended have both had dry but cold weather. My top tip is to take a woolly hat – even in the summer sitting outdoors late at night in the UK can be cold, especially with a clear sky. How do I book tickets for Kynren? What are the best seats at Kynren? The Tribune seating area is 41 long rows of standard seats divided into 5 sections, all offering fantastic unobstructed cinematic views, but from different angles. Tickets in the centre with a full centre view of the performance are the most expensive Diamond seats, they are also cushioned, and tickets become less expensive as you move away to each edge. I’ve only sat in the centre but have heard from others that the views are also good from other sections. There is also a wheelchair accessible seating area for anyone who may need it. What can I take to Kynren? Only small bags are allowed – smaller than 40cm x 30cm x 20cm and there are no left luggage facilities. Other items not allowed are: knives and sharp objects; flasks; flares or fireworks; aerosols; flags; iPads and tables or camera lenses over 100mm; illegal substances; alcohol; selfie sticks; camping seats or tents; and rattles or klaxons. Food and drinks, except baby food or food for medical conditions, are not allowed past security, however, once inside there is a Food Village where a range of food and beverages are available to purchase, our caterers include Hog Roast, Fish & Chips, Hot Waffles, confectionary shop. As we were there for a rehearsal evening this was not open however the Kynren website says although there is no cash point on site the vendors accept cash, credit and debit cards. Food cannot be taken into the seating area, however, drinks purchased on site can be. Can I take a picnic to Kynren? No. No food is allowed past security but can be purchased inside. There are also many restaurants, bars and cafes in Bishop Auckland. How long does Kynren last? It is a 90-minute show without an interval. How much are Kynren tickets? Children 3 and under are free when sat on an adults knee. Are there discounts for Kynren? It's worth checking the web for discounted tickets. At the moment there are (affiliate link) Groupon vouchers available giving you up to 20% off Kynren tickets. Is smoking allowed at Kynren? Although it's an outdoor event smoking, which includes electronic cigarettes and vaping is only permitted in two areas on site. 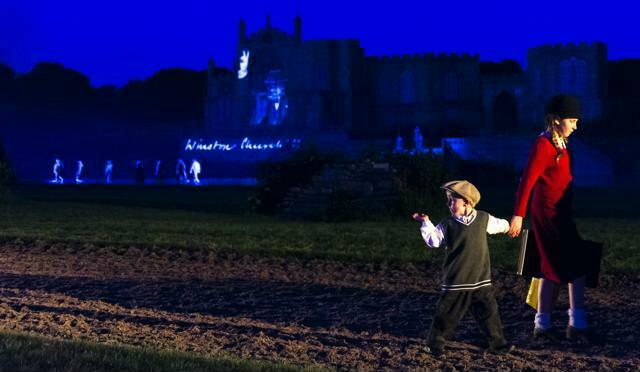 Have you been to see Kynren? Disclosure: We were invited to the press preview night for Kynren and also sent some photography however the majority of pictures in this post are my own. Love Kynren! Can't wait to visit in September and see the new additions to the show.